Died: October 24, 1984 in Pocasset Ma. at 94 yrs. Married: Abt.1920 in Germany; They was divorced. To: Anna Ross; (1899 – 1986); Anna married (2) (–) Meister. 1. 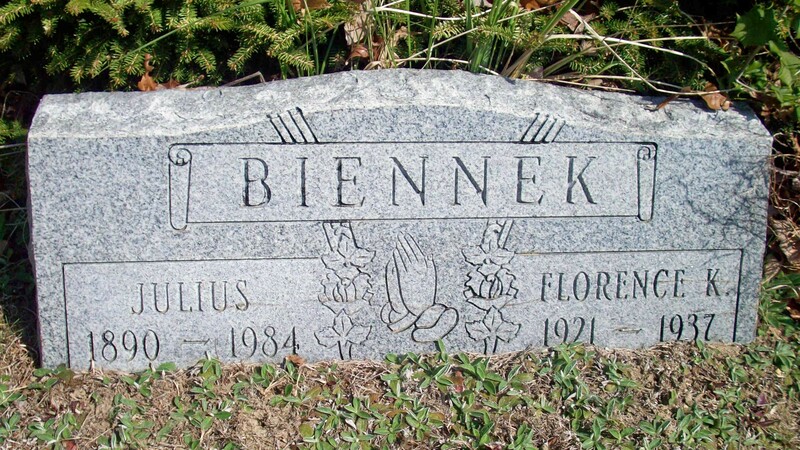 Florence K. Biennek; (1921 – 1937); Florence is buried with her father in Pocasset Cemetery.